Hi. I'm on Xbox One and I have the same issue about new melee buttons mapping. After the update, I've restored to default first, thinking I would be able to re-do my controller mapping after. The main issue I have, is with the channeling toggle permanently bound to the right stick click. In itself, it may not be a problem, but what becomes one for me, is that it is also bound to secondary fire which cannot be changed (apparently, channelling toggle can't be moved and secondary fire must be with it ...) Putting an action which may be spammed on a stick click is bad design! Needing to click the right stick for my amp charged shot in an Eidolon fight, or any weapon using the secondary fire to actually fire is a pain (if the secondary fire is only used to change firing mode, it can be ok) I surely don't know the technical limitations DE has that made them do this, but please reconsider: Channeling + Secondary fire together is fine, but having them on the right stick (or not being able to bind them elsewhere) is awful. Thank you. Void fissures dont refresh. Bounties dont refresh. Here as well: It made me turn off vibrations just because of this weapon. It didn't use to have this bug so it is "quite recent". Thanks DE. Petit bump pour dire que le recrutement est toujours ouvert! Donc si vous parlez français (et êtes adulte 😉 ), n'hésitez pas au moins à prendre contact. Pour un recrutement, la guerre intérieure doit être validée, mais rien n'empêche de jouer ensemble dans tous les cas et / ou donner un coup demain. A bientôt! Hi everyone and DE 😉 For feedback context, I'm MR26 (near 27), been playing on Xbox One since day one, and have around 5000 hours of play. My feedback is in 2 parts. I) First, about nightwave directly. Very nice idea overall and gave me new objectives to do outside of my daily routines. I just feel that it lacks some consistency for the moment, concerning obectives duration. Every type of challenge should be around the same duration (Examples: a daily could be 15 minutes, a weekly 30-45 minutes, and a weekly Elite 45 min to 1 hour) I'm not saying here what duration it should be, just that it currently doesn't feel consistent for a same type of challenge (Dailies go from 20 kills aim gliding to 150 kills with certain damage type) It also shouldn't feel too long to do daily. I'm NOT speaking for me here, 'cause I have nothing else to do, but for lower MR, they may already have plenty to do and adding too much per day would be tedious and push back som players (I already ear that the game is a bit too overwhelming for new comers, so try not to add to it 😕 ) About the 3 points in OP: 1) Ayatan: agreed (again, RNG is not consistent ^^) 2) Survival: also agreed. It was nice doing but my friends got a connection issue at 56 minutes which made them do it again => not really fun. 3) Friend / Clan: also agreed. Even being in a clan and an alliance, it may be hard to find someone at the same time wanting to do the same thing (like a 1 hour survival) II) Second, about the removal of alerts. I miss them a bit. Honestly, I wasn't doing a lot of them, but I liked the fact that it made me stop my routine for a bit and made the world feel alive. It even could make me launch Warframe when I wasn't playing a game, or on another game, because my app notified me of something interesting. 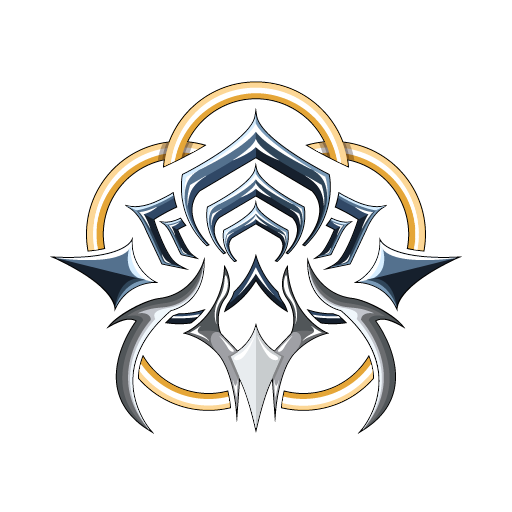 I understand the consistency issue (see my point above) and for a new player to get auras, Vauban or else, it could be annoying, but I like the idea of something that could happen by surprise and everyone could go for it (like incursions in open zones) So maybe it could come back but not for exclusive rewards but for credits, resources (eggs and genetic codes were really nice to get there, over the usual way, like oxium or argon crystals ...) Thanks for reading. Hoping for a fix in the build in cert! Nous sommes un clan français et nous n'avons pas assez de place disponibles pour recruter tous ceux qui demandent. Désolé. Hi. I'm on Xbox One and I was waiting for those info to see if I would buy a switch but only if there was a shared progression (no way I'm restarting all over again ^^) like on fortnite, I think. A shame but anyway, welcome to NinTenno!